D’Agostino has led Netology to a 38% revenue growth in 2011. He has headed up working with major industry vendors to market managed IT and cloud services to his client base and the community of Stamford, Conn.
After successfully winning the largest SMB deal in Dell’s history within Asia-Pacific, Dansey founded Purple Cow Ideas Management and has established herself as a noted Channel Expert and Coach within the UK, working with the region’s top MSPs and vendors. Dansey is an ambassador for STEM and Young Enterprise allowing her to reach out and support the future workforce seek inspiration. Delany is responsible for developing and re-launching an updated Managed Service Provider Program for Trend Micro partners that focuses on increased profits, increased productivity, and increased business value. Delany is deeply involved with HTG Peer Groups, meeting quarterly with MSPs to educate members on recurring revenue best practices. Delany increased sales from this peer group by over 300% in 2010 and 2011. Mehmet Ali Demirci, Founder, GM Informatic Technologies Ltd. Co.
Demirci grew his company’s managed services business more than 70 percent from 2011 to 2012. He is considered a first-mover in the Bodrum and Turkey markets, managing more than 600 assets from 50 different companies. Martin DesRosiers, Director of Managed Services, Softlanding Network Solutions Inc.
DesRosiers is building and leading the managed services practice at Softlanding. He previously started an MSP in 2006, and the company was later acquired by CDot Networks Inc. in 2009. DesRosiers most recently played an integral role during Fully Managed’s growth from 10 to 35 employees, almost tripling revenues in three years. Dimiceli brings nearly 17 years of technical sales and team management experience to the Spam Soap Channel. Prior to joining Spam Soap, he was Channel Manager at Sage Software, managing accounts for one of the largest ERP Resellers in the nation. He continues to speak publicly and coaches companies, both in the enterprise and SMB space, on best practices for customer acquisition, community development & brand identity. Brian Dosal, President, Co-founder, BrightGauge Software, Inc.
Dosal co-founded BrightGauge Software for MSPs in November 2011 after five years of successfully running his own MSP. BrightGauge offers a reporting tool to combine data from multiple systems for MSPs. The service has since helped its partner base send 15,000 client reports in its first 6 months. Dosal led Compuquip’s successful MSP sale to All Covered in August 2012. Over the past 18 months Dosal has been promoted to president & CEO of the family business while also taking on the sales management role. In the past 12 months he has helped drive in over $82,000 in MRR in new business, client contract extensions, and new cloud services contracts. 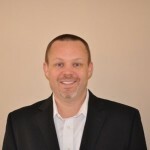 Thomas Douglas, President, JMARK Business Solutions, Inc.
Douglas has grown annual revenues by 25 percent to 35 percent for the last 5 years in a row and has maintained a client retention of 99 percent. Since 2009, the company has grown from 28 employees to over 60 in three offices in three states, supporting over 7,500 devices. JMARK has been in the Inc. 5,000 for the last 2 years landing at spot 1,397 in 2011. Brian Doyle, VP of IT and Datcenter Services, PCNet, Inc.
Doyle is transforming an Enterprise VAR to a Mid-Market MSP/CSP by creating alternative managed outsourcing solutions to meet the demands of that market segment. PCNet owns and operates its own data centers and is also a CSP delivering VMware private cloud solutions to meet production and business continuity requirements. Dubois bought out his business partner last year. Since that time he has doubled the amount of employees and at least doubled company revenues. Company insiders say Dubois has an unwavering focus on customer service. Dwyer has been with 3t Systems since 2001, developing 10 key strategic partnerships across Denver to increase profitability. He pioneered the Shared 3t Environment, which enables SMB customers to enter the managed services space with more scalability at a lower cost. Dyer created the first free dialup Internet service in the UK with 100,000 signups. By 2003, Dyer launched Cobweb and delivered the first public cloud hosted Microsoft Exchange 2003 services in the world. He oversaw deployment of an Exchange 2007 cloud service platform with over 50,000 seats of hosted Exchange. Now he’s leading the development of new services with the ability to scale the business to 500,000 users.